Kato Masao, (加藤正夫 Katō Masao, 15 March 1947 - 30 December 2004) was a Japanese 9-dan professional Go player known for his attacking play. Kato won the Meijin (twice), Honinbo (four times), Judan (seven times), Tengen (four times), Oza (eleven times) and Gosei (three times). He is one of the few to have won 1,200 professional games. His most recent title was Honinbo in 2002, in which set the record for oldest player ever to win this title, at age 55. Kato followed an old tradition and, upon winning, he resumed using the name "Kato Kensei" as he had in the past when winning that title. He lost this title in July 2003 to Cho U. His pupils include Okada Shinichiro, Omori Yasushi, Suzuki Isao, Nishida Terumi and Umezawa Yukari. His teachers include Kitani Minoru, Kato being one of the Three Crows of the Kitani dojo. Kato was the author of two books available in English: Kato's Attack and Kill and The Chinese Opening. The Chinese Opening: The Sure-Win Strategy is published in English by Kiseido. His name is ordered in the book and in some Anglophone sources as Masao Kato, while many Go-related sources and websites order his name as Kato Masao. The English version of Kato's Attack and Kill also uses "Masao Kato". Usually in Japan a person's name is written family name followed by given name but in many Western books and other sources the names are written given name followed by family name. On 30 December 2004, he died of a cerebral infarction. 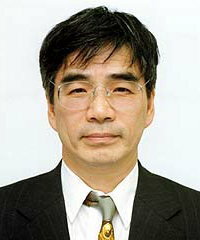 Kato, elected in 2004 to be Chief Director of the Nihon Kiin and President of the International Go Federation, successfully led many important reforms during a difficult period. These reforms included reversing the financial deficit, changing the dan promotion rules by eliminating the Oteai, changing komi to 6.5 points, and shortening game time limits among others. At the same time he still managed to play actively in the top tournaments of Japan. In his youth Kato had a very aggressive style. There are many classic examples of Kato killing large groups. One such took place on March 11&12, 1970 during the 25th Honinbo League. Kato (black) played Takagawa Kaku and forced him to resign in 93 moves! Kato's awesome power is frightening in this game (eg. Black 67). The game can be found on Gobase, but be warned, it is not for the faint of heart. The tables were turned on Kato by Fujisawa Hideyuki (Shuko) in a Kisei title game in which Fujisawa mounted a severe attack and killed one of Kato's large groups. Later in his career Kato's style became more moderate and instead of "Killer Kato" his nickname was "Endgame Kato". In the back of my Life and Death book, it lists other Go books, including, Kato's Attack and Kill, Kato Masao, 10d. What's that about? Hikaru79: The Japanese word for 'ten' is 'Ju'. Therefore, the 'Judan' title is like saying '10-dan.' That's what that was reffering to. Then are there as many "10 dan" players out there as there are times the Judan title has changed hands? Bob McGuigan: "Judan" is the name of a tournament, i.e. a title, not a rank. Winners of the title hold it only until they are defeated. Saying "Kato Masao, Judan" is just like saying "kato Masao, Honinbo", for example.